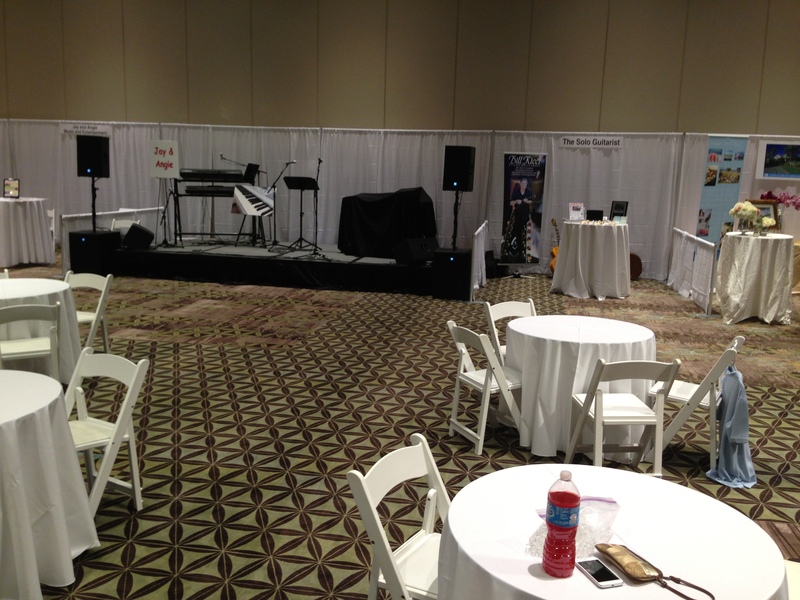 Southern Sound and Lighting provided a basic set up for a local bridal expo, the Premier Wedding Expos, to highlight their wedding musicians. Four different solo artists or bands performed on a stage throughout the show. This Premier Wedding Expo took place at the Jekyll Island Convention Center in Jekyll Island Georgia. 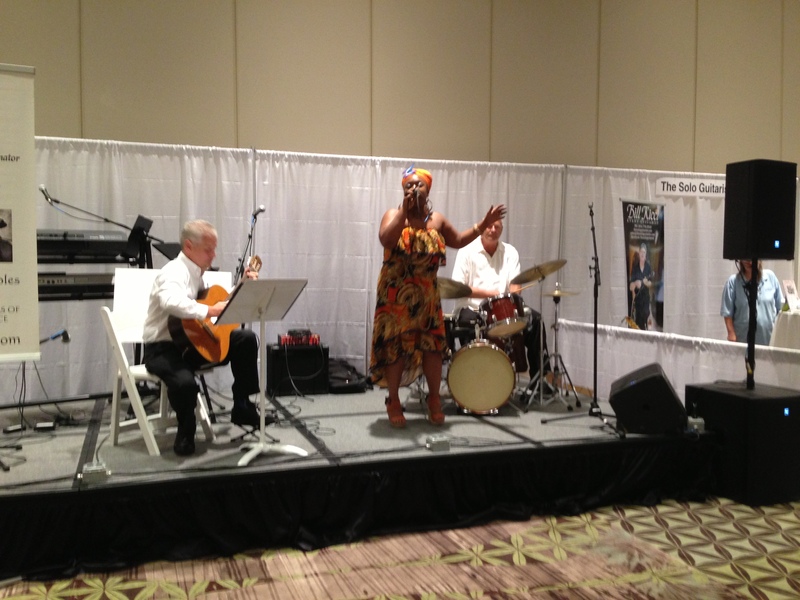 This set up can be used with other types of trade shows and expos or for corporate events that have live entertainment. The equipment used; EV self powered speakers ELX model, microphone and mic stands by Shure, mixing console by Mackie 1604 VLZ and stage.